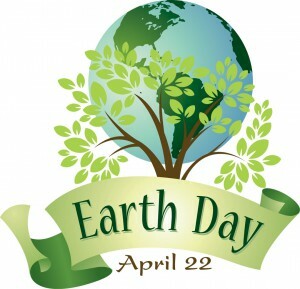 Earth Day is April 22nd and while many of us agree we should celebrate our wonderful earth everyday, it does seem appropriate to grant her at least one special day for a larger celebration. Whether you choose April 22nd as the day to make a difference or the first day to start making a difference every day matters not. Just don’t forget to celebrate. Not sure how to start? Here are some ways Parent Organizations around the country are celebrating and you can to. Don’t have time to start a school garden? No worries, spruce up the school gardens you have. Spend Earth Day picking up trash, popping weeds and planting flowers to add beauty to your current school grounds. The students at Tisko Elementary School in Branford, CT are busy collecting bottles and cans to take to the redemption center. The class who brings in the most bottles and cans gets a pizza party. Other schools are busy collecting ink cartridges and cell phones. Check out http://www.iwanttoberecycled.org/ and http://www2.epa.gov/recycle to learn more about how just how cool and important recycling is to our communities and the planet. One of the best ways to keep things out of landfills is to find other homes for them. Someone else’s trash may be another’s treasure. Hold a collection drive for gently used school supplies, clothes, toys, bikes, furniture or whatever else your local community organizations may be in need of and help to make someone else’s day while making the earth a better place.